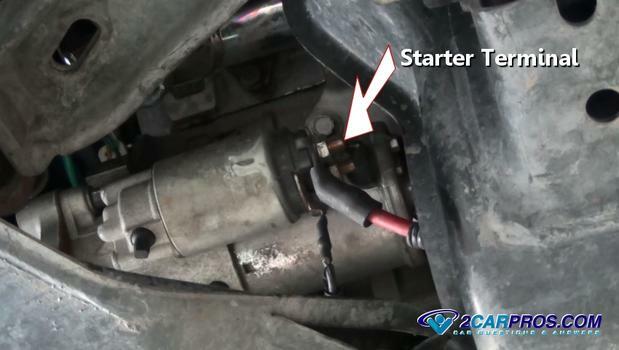 A starter motor is used to rotate an engine to begin the combustion process. A flex plate or flywheel is connected (bolted) to the rear of the crankshaft, these unit are fitted with a ring gear which enables the starter to be activated. If the flywheel is worn it can cause a grinding noise when the starter is operated. Main starter motor power is supplied directly from the positive side of the battery via the positive battery cable. 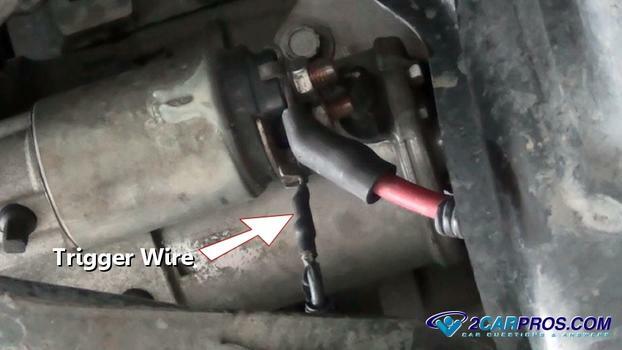 A trigger wire generates an electrical signal which is initiated by the ignition switch. This circuit supplies electricity to the starter solenoid which then activates the motor portion of the unit. Once the starter motor engages the starter bendix senses the armature momentum and is forced to extend into the flywheel. 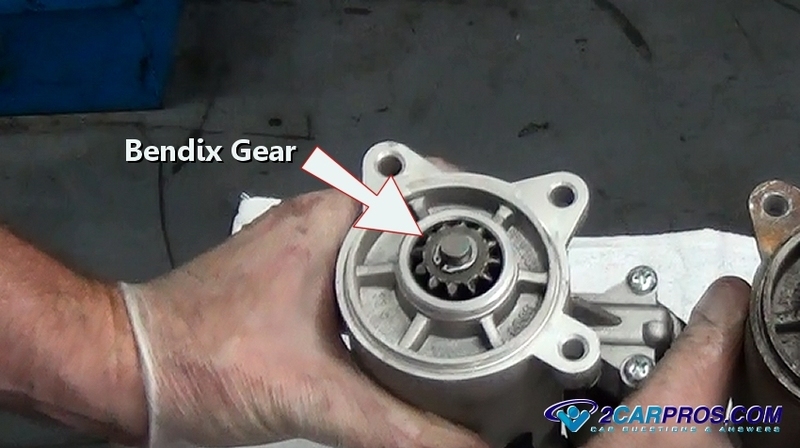 The starter bendix gear is designed with a one way clutch which enables the starter motor to "freewheel" as the engine starts while forcing the gear back into the starter motor when it loses momentum. Most starter motor wiring circuits follow the same procedure though configurations may vary. 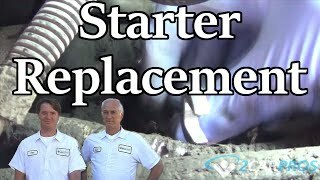 An engine starter is designed to utilize a 12 volt, high amperage electrical source (battery) made to turn an engine over for starting purposes. The bendix gear is designed to extend and mesh with the flywheel when the ignition key is turned to the crank position, and then retract when the ignition key is released after the engine has started. Its construction includes a main outer housing which contain armature magnets, an armature that contains windings, and a brush set which is used to contact the armature and transfer electrical energy. 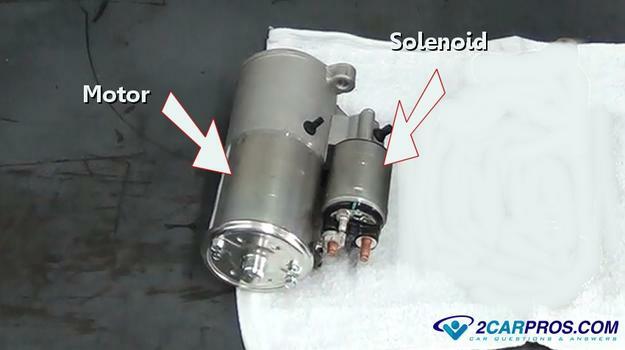 A starter solenoid acts as a heavy duty power relay to begin the starter motor operation. 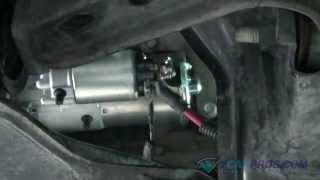 The electrical system that controls the starter motor is comprised of an ignition switch, neutral safety switch (automatic transmissions only), clutch safety switch (manual transmissions only), battery, battery cables, anti theft system, computer, key fob and the starter itself. When the ignition key is turned to the crank position a low amperage electrical signal is sent to the anti-theft system and computer which monitor the gear selection or clutch safety switch positions. The signal then continues to the starter solenoid which activates the high amperage side of the electrical system to engage the starter motor. The objective of the starter motor is to rotate the engine between 85 and 150 rpm's which is necessary for engine ignition process. 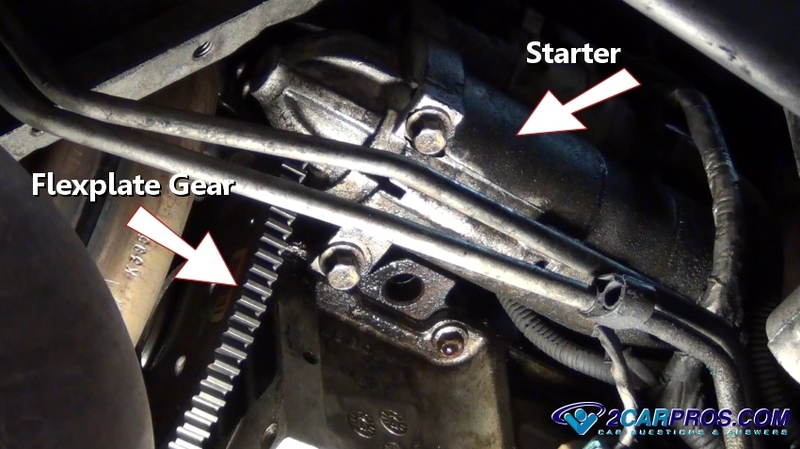 Most starter motors are mounted underneath the engine either on the left or right side, the flywheel is located between the engine and transmission. A weak battery can cause the starter motor to produce a rapid machine gun style of sound, this is a popular misconception of a starter failure. 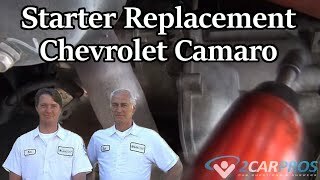 There are two main reasons a battery will not perform as it should, either the alternator has failed and is not charging, or the battery has failed and replacement is required. Rolling bearing failure allowing the armature to contact the outer starter motor case creating a scraping noise. Makes a rapid clicking noise can mean the battery is low on charge. Grinding, this condition exists when the bendix or flywheel has worn. Tick noise, the solenoid connection plate has shorted not allowing the electrical flow to continue through to the motor, or the starter brushes have failed. Clunk-bang noise, starter is engaged which could mean the starter is working, but the engine is not turning over, manually try to turn the engine over to confirm engine failure.